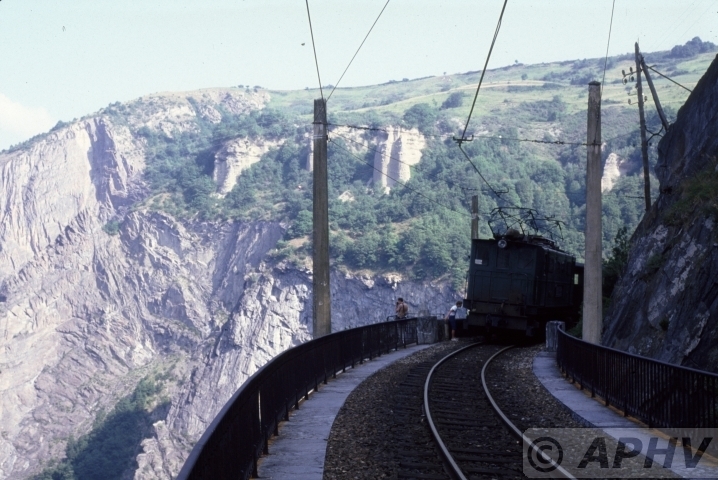 The line was built between 1882 and 1886, to link Saint-Georges-de-Commiers and La Mure through a mountainous region of the department of Isère. The 30 km. 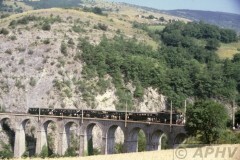 long, metre gauge line running from La Motte-d’Aveillans and La Mure and to a connection with the main line of the PLM railway at Saint-Georges-de-Commiers. The line was almost closed in the mid-1970s and if the country hadn’t been suffering an oil crisis the line would have met its end. Its life was extended by fifteen years, which proved to be its saviour. 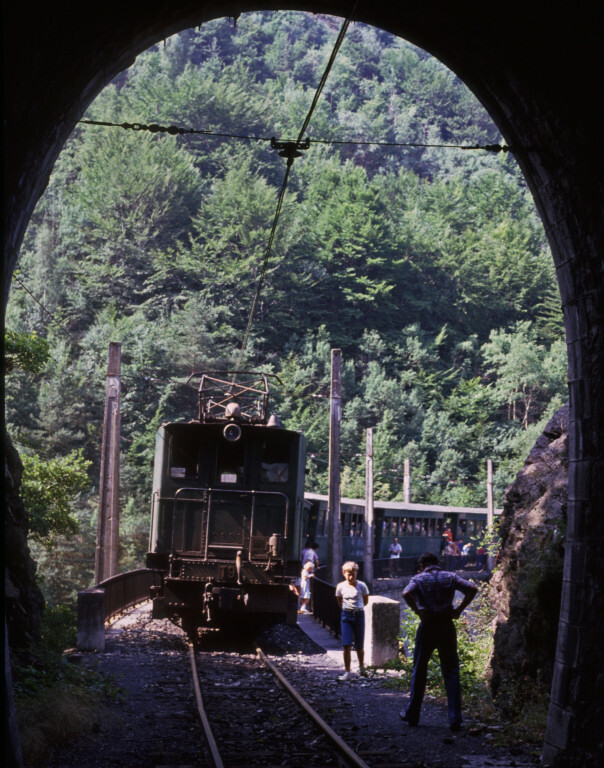 Unlike many other lines this became a tourist attraction which combines an area of industrial heritage with some of the finest scenery on any similar line on the continent. 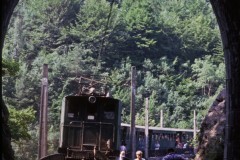 The railway was electrified in 1903, using a symmetrical current power supply with two overhead lines at plus and minus 1200 volts direct current respectively. In 1950, this non-standard system was replaced with a conventional power supply with a single overhead line at 2400 volts direct current. Coal traffic ceased in 1988, and most of the coal installations were demolished, the coal being transported by road. The SGLM found a new vocation in providing a tourist attraction and as a result, there remain all of the line’s historical installations, the workshops, forge, joinery shop, etc. The network’s departure and arrival stations were dependent on connections with the PLM railway’s Grenoble – Veynes line. 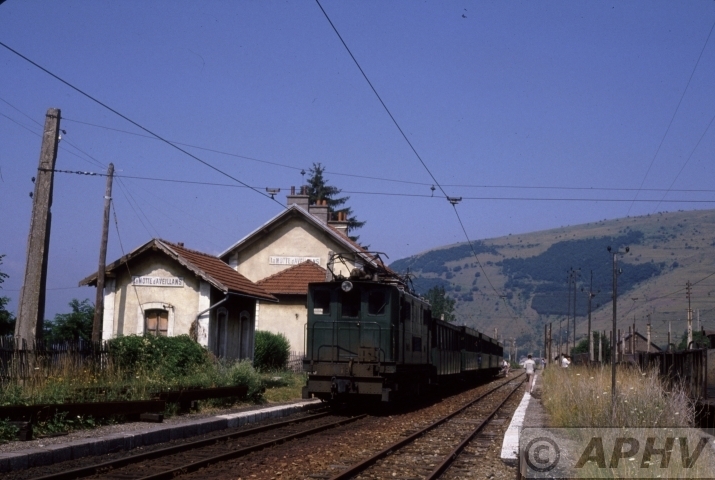 The necessary facilities together with the transhipment platform for the automatic transfer of the coal from the SGLM coal cars to the trains operated by PLM (which became SNCF in 1938) were built adjacent to the PLM station, today the station for the Chemin de fer de La Mure. 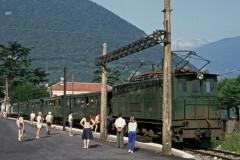 The trains of the railway now run at the leisurely pace of up to 30km/h. 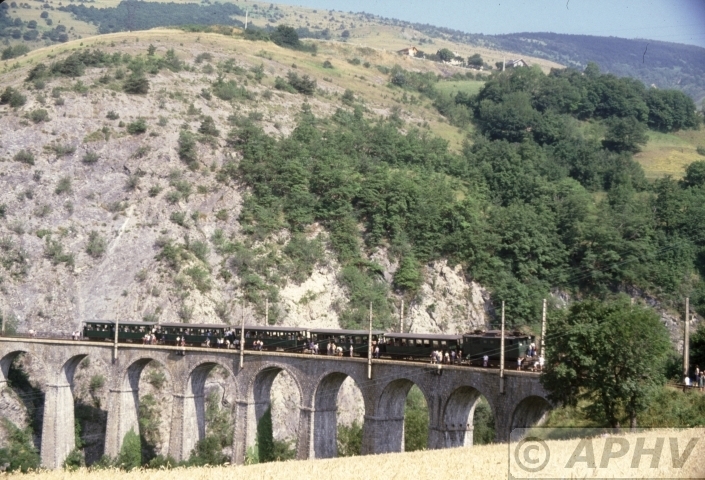 This entry was posted in France by admin. Bookmark the permalink.